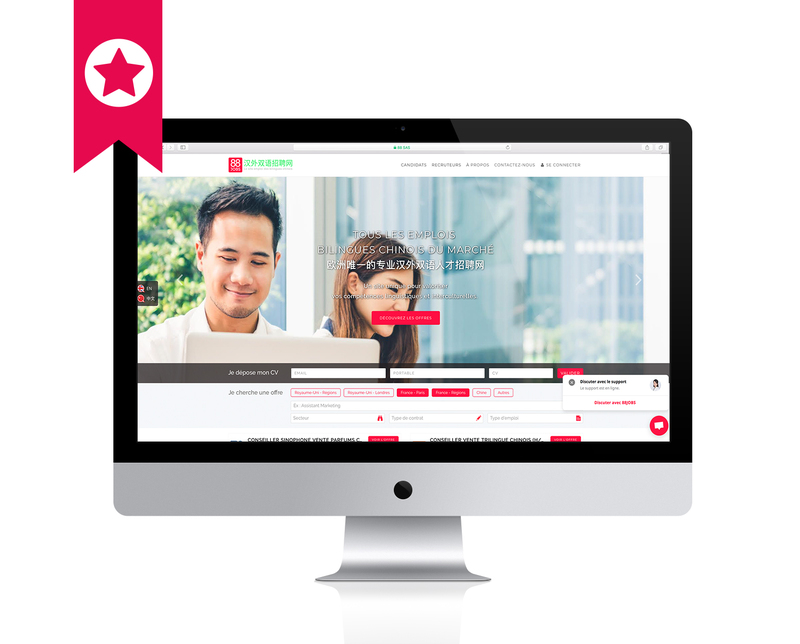 Whether it be for temporary or regular recruitment needs, the 88JOBS website allows companies to target and quickly recruit the Chinese-speaking applicants they seek. What are the characteristics of the Recruitment payed according to success service? By signing up to this service, the recruiter entrusts 88JOBS with a full recruitment mission for their future employee. Sourcing: Multiple actions are launched at the beginning of the recruitment mission. To begin with, a job offer is posted on the 88JOBS website, on partner job boards and on our social networks in Chinese. The important 88JOBS recruiting ground is also used to find target profiles. Lastly, for certain missions, headhunts are carried out. Selection: The 88JOBS team evaluates every application and carries out a series of interviews. The meticulous selection process allows us to offer a reduced number of targeted applicants to the recruiter. The organisation of the interviews is performed by our team. Assistance in negotiations and the signing of the employment contract are also available if needed. Guarantee: The service contains a replacement guarantee in the scenario in which a selected applicant leaves the job during the trial period, for whichever reason. The applicant will be replaced at no extra charge for the recruiter. How can it be ordered? The ad is first created. The payment is then carried out. After a validation message is sent out, the order is confirmed by email. The offer is then posted online by our team in under 2 hours maximum. The payment is carried out by bank card (Visa, Mastercard…) on a secured page. A receipt will then be sent to you via email. Exceptionally, it is possible to request the opening of an account for a subsequent payment upon receipt of an invoice.